NEW DELHI: Sri City’s development commissioner A.K. Choudhary has said that the source of computing and technology will be driving force for communication revolution. “Such innovation and excellence, will not only empower citizens, but also empower India in its mission to become the most developing economy,” said Choudhary at second day of the 24th Convergence India 2016 expo in New Delhi. “Broadband technology shall connect business and individuals to the global market place, and the larger economy,” he said during panel discussion.. 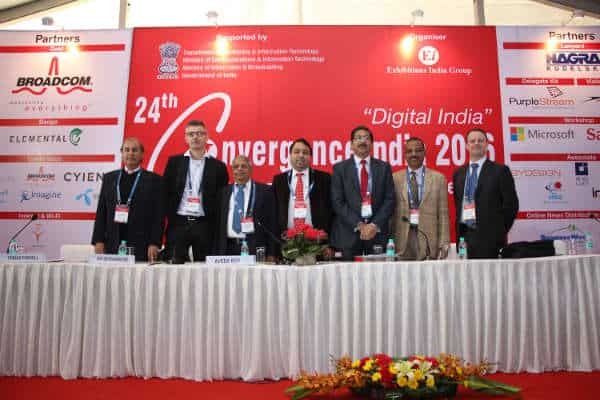 The second day of expo observed leading names from the ICT industry continuing their discussion on building blocks that are integral to the success of the Digital India mission, namely: mobile broadband, broadcasting, digital wallets, big data & cloud, and IoT. At session, “The Indian digital industry is on track to become the fastest growing in the World. In all respects, with 1 billion mobile users, 400 million internet users and 900 million UID’s.It is poised to explode. Are we ready? Time to Stand up India, Deliver India,” said Probir Roy, Co-Founder, Paymate, India. This year, the exhibition has attracted 434 leading brands from 29 countries including Australia, Canada, China, Japan, Norway, Singapore, South Korea, UAE, UK, USA, to name a few showcasing the latest technology trends from the global ICT industry. Innovation, excellence will empower India in its mission: AK Choudhary 0 out of 5 based on 0 ratings. 0 user reviews.